Saturday, August 8, 2015 at 11:00 a.m. 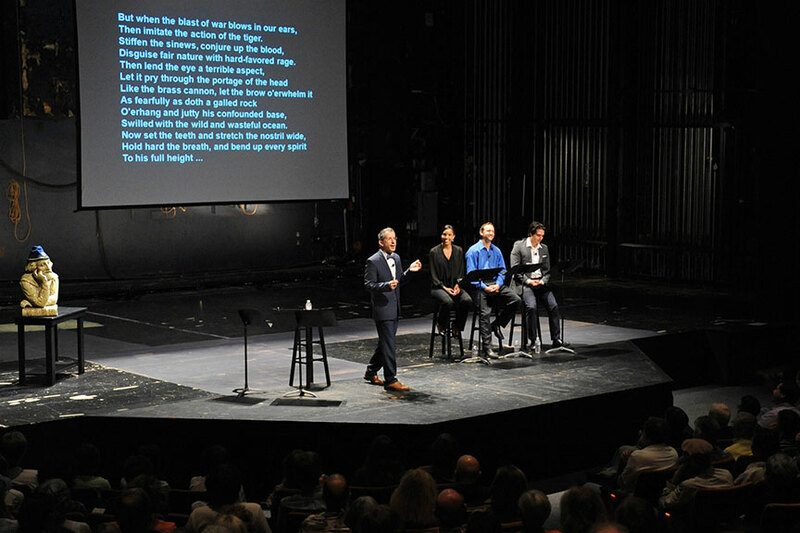 Following successful showings in the past two seasons, Old Globe Artistic Director Barry Edelstein will offer an encore of his program Thinking Shakespeare Live!, a 90-minute exploration of the language of Shakespeare, on Saturday, August 8 at 11:00 a.m. This fast-paced, funny, and altogether fascinating presentation based on Edelstein’s book, Thinking Shakespeare: A How-To Guide for Student Actors, Directors, and Anyone Else Who Wants to Feel More Comfortable with the Bard, reveals a performer’s approach to Shakespearean language so audiences may easily understand the poetry of the Bard. As Edelstein and three skilled actors demonstrate live on stage the methods he imparts to professional actors in the rehearsal room, this entertaining behind-the-scenes look at the creative process offers a primer on the tools used to hear and understand Shakespeare. 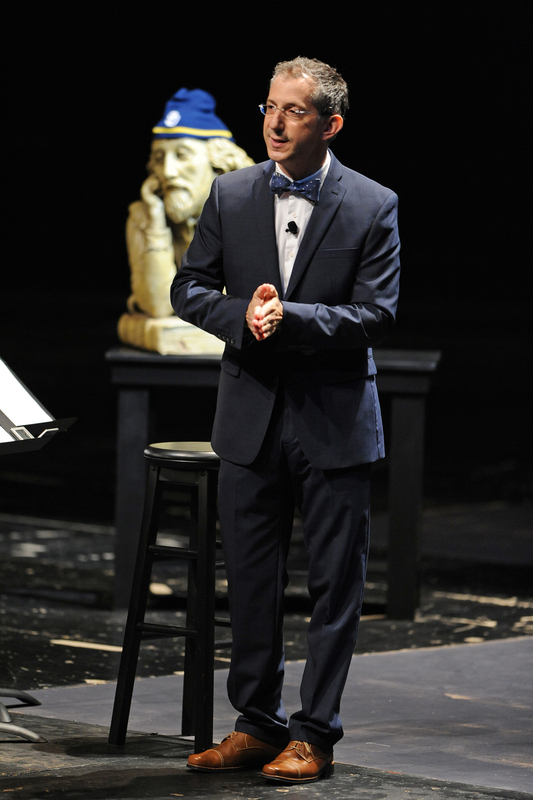 Old Globe Artistic Director Barry Edelstein leads Thinking Shakespeare Live! on June 15, 2013. An encore presentation of Thinking Shakespeare Live! will be held Saturday, Aug. 8, 2015 at 11:00 a.m. at The Old Globe. Photo by Douglas Gates. Old Globe Artistic Director Barry Edelstein (far left) with actors (from left) Krystel Lucas, Jason Maddy and Christopher Salazar during Thinking Shakespeare Live! on June 15, 2013. An encore presentation of Thinking Shakespeare Live! will be held Saturday, Aug. 8, 2015 at 11:00 a.m. at The Old Globe. Photo by Douglas Gates. 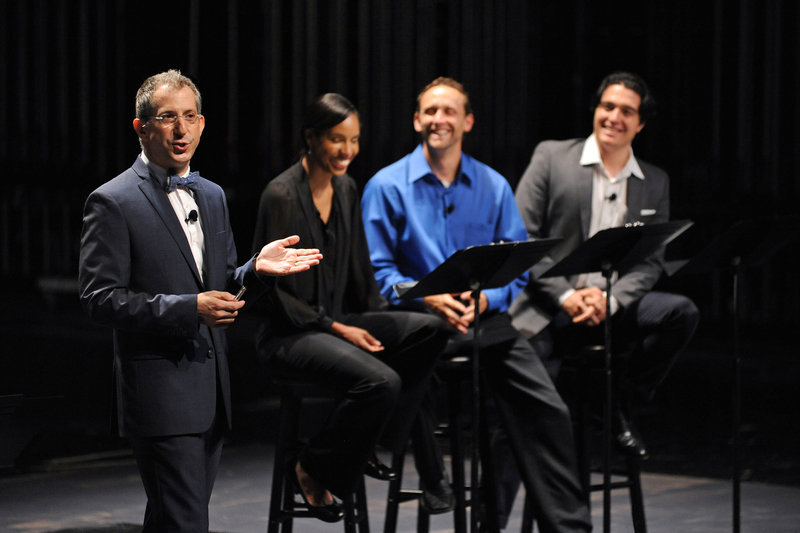 Old Globe Artistic Director Barry Edelstein (center) with actors (from left) Krystel Lucas, Jason Maddy and Christopher Salazar during Thinking Shakespeare Live! on June 15, 2013. An encore presentation of Thinking Shakespeare Live! will be held Saturday, Aug. 8, 2015 at 11:00 a.m. at The Old Globe. Photo by Douglas Gates. Old Globe Artistic Director Barry Edelstein will offer an encore presentation of Thinking Shakespeare Live! on Saturday, Aug. 8, 2015 at 11:00 a.m. at The Old Globe. Photo by Joseph Moran. 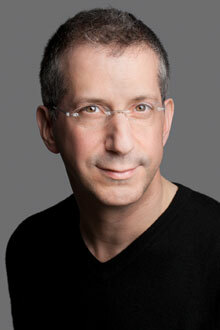 Barry Edelstein is a stage director, producer, author, and educator. Widely recognized as one of the leading American authorities on the works of Shakespeare, he has directed nearly half of the Bard’s plays. His Globe directing credits include The Winter’s Tale; Othello; the West Coast premiere of novelist Nathan Englander’s play The Twenty-seventh Man; and the upcoming world premiere of Michael John LaChuisa and Sybille Pearson’s musical Rain. He also directed All’s Well That Ends Well as the inaugural production of Globe for All, a new producing platform that tours the works of Shakespeare to diverse communities throughout San Diego County. As Director of the Shakespeare Initiative at The Public Theater (2008-2012), Edelstein oversaw all of the company’s Shakespearean productions, as well as its extensive educational, community outreach, and artist-training programs. At The Public, he staged the world premiere of The Twenty-seventh Man; Julius Caesar; The Merchant of Venice; Shakespeare’s Timon of Athens; and Steve Martin’s WASP and Other Plays. He was also Associate Producer of The Public’s Broadway production of The Merchant of Venice starring Al Pacino. From 1998-2003 he was Artistic Director of Classic Stage Company. Edelstein’s other Shakespearean directorial credits include The Winter’s Tale at Classic Stage Company; As You Like It starring Gwyneth Paltrow, and Richard III starring John Turturro. Additional credits include the Lucille Lortel Award-winning revival of Arthur Miller’s All My Sons; the world premiere of Steve Martin’s The Underpants, which he commissioned; and Molière’s The Misanthrope starring Uma Thurman in her stage debut. Edelstein has taught Shakespearean acting at The Juilliard School, NYU’s Graduate Acting Program, and the University of Southern California. His book Thinking Shakespeare is the standard text on American Shakespearean acting. He is also the author of Bardisms: Shakespeare for All Occasions.